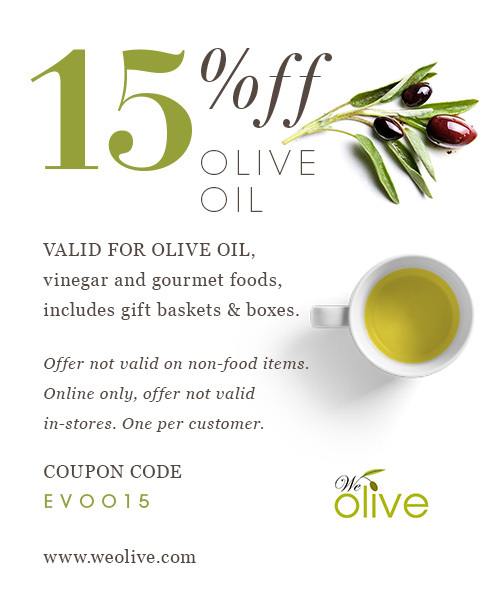 Receive 15% off olive oil, vinegar and gourmet foods, includes gift baskets and boxes. Offer not valid on non-food items. Online only, offer not valid in-stores. One per customer.